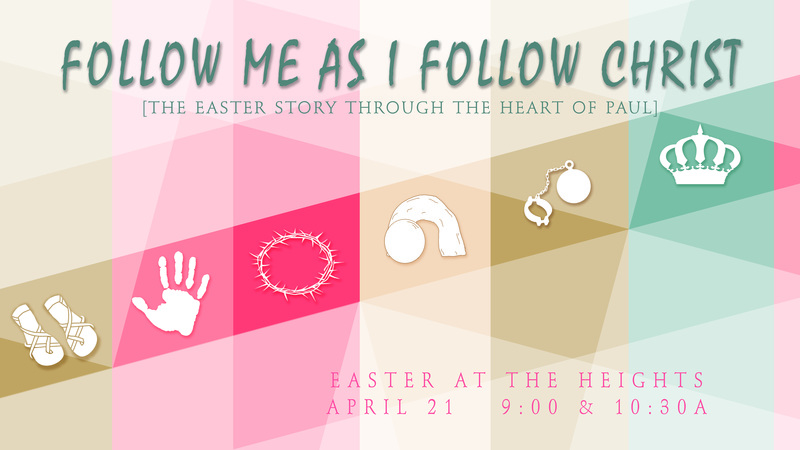 Celebrate Easter Sunday with "Follow Me as I Follow Christ: the Easter Story through the Heart of Paul" presented by the WHBC Celebration Choir and Praise Teams during both services (9a & 10:30a). Listen and rejoice as we focus on Christ through the perspective of Paul during his last hours. Nursery provided for birth-2 years. No ABFs, youth, or children's programs.